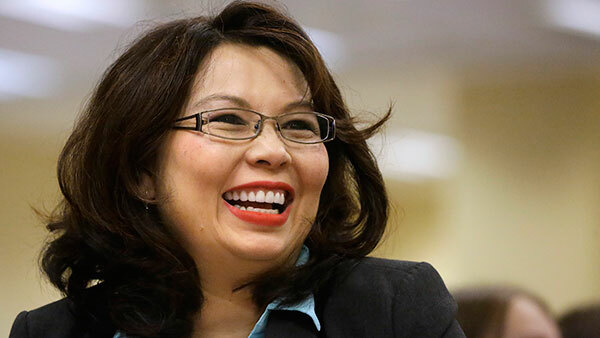 AURORA, Ill. (WLS) -- Illinois Congressman Bill Foster announced his support for Rep. Tammy Duckworth in her campaign for U.S. Senate on Friday, and said he will not run against her in a primary. He said in a statement, "I am announcing my support for Tammy today because she has proven time and again - on the battlefield and in the halls of Congress - that she is dedicated to serving our country, and in particular the people of the great state of Illinois." Foster called the decision difficult but said, "It was made much easier by the fact that we have such a terrific candidate in Tammy Duckworth." In his statement, Foster praised Duckworth for defending Illinois families and standing up to Washington special interest groups. "She will be the thoughtful Senator that Illinois needs and deserves," he said. Foster also announced that he will serve as a co-chair of Duckworth's campaign finance committee.